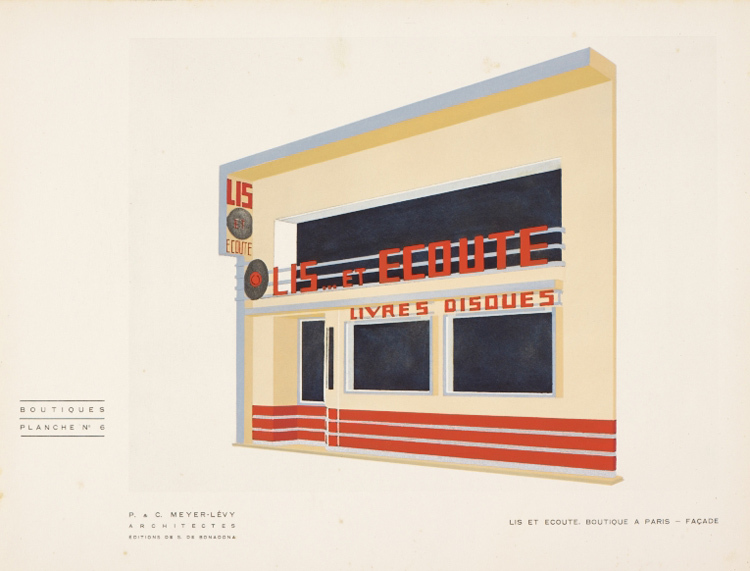 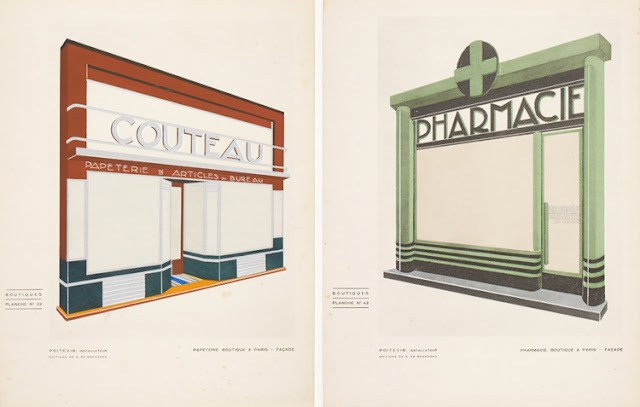 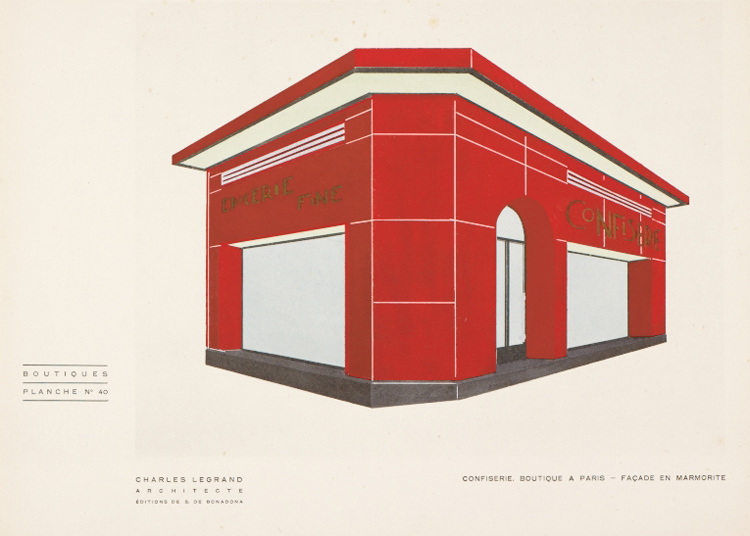 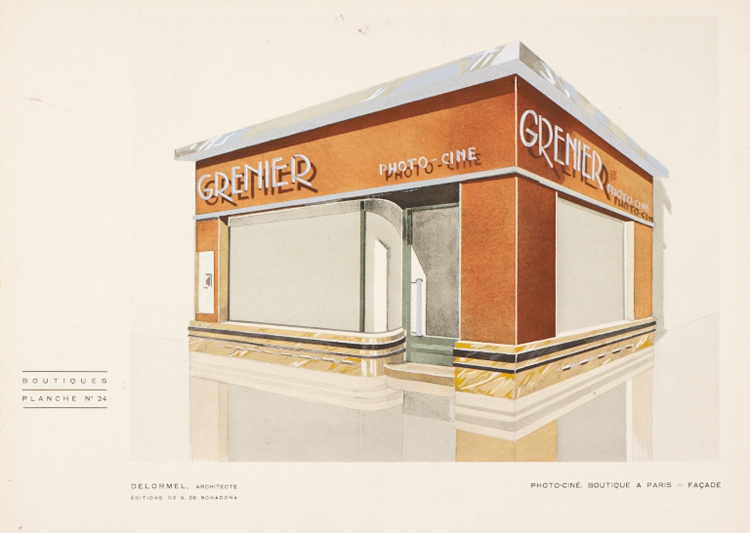 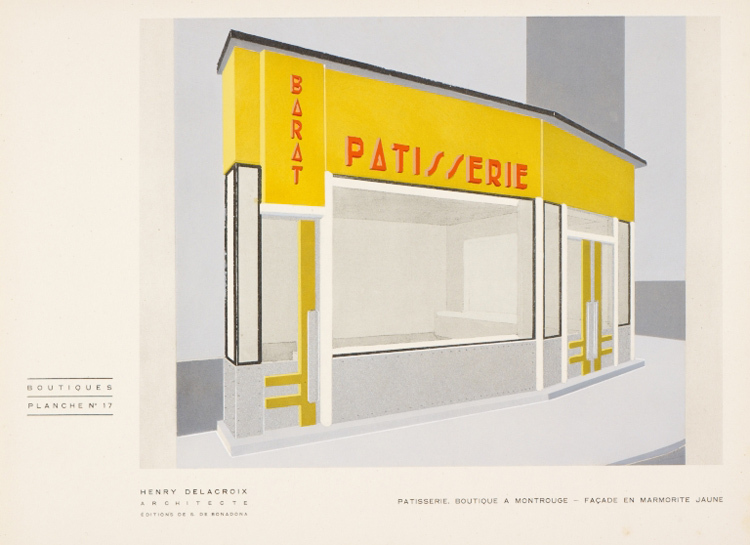 This beautiful book by architect Henry Delacroix, published in France in 1936, is filled with drawings of shop facades – mostly in Paris – done by different architects. Absolutely love the typefaces, colors and materials from this decade! 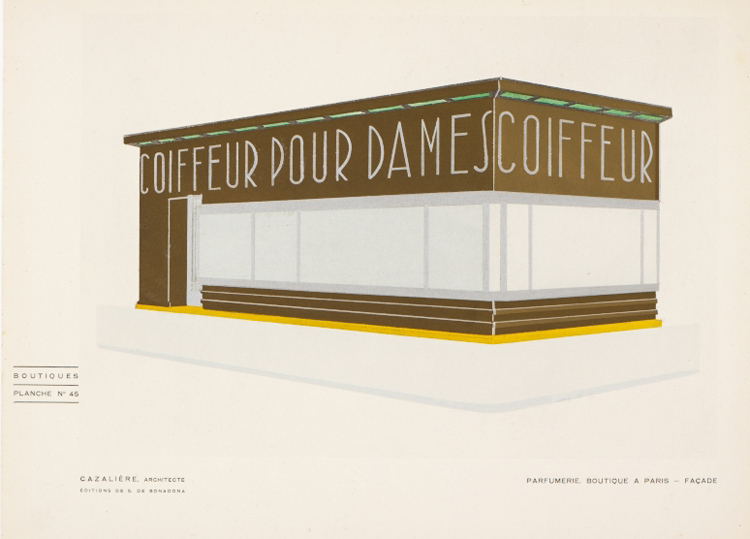 Via Present and Correct.